The classic Marvel Star Wars comic was one of the earliest, tentative steps into what would ultimately transform into the original Star Wars expanded universe; a world that fleshed out Han, Luke, and Leia’s adventures between and beyond the original films. These days, its stories are left to legend, with a new canon taking their place. But not anymore...at least for one issue. Celebrating 80 years of Marvel Comics, the publisher has confirmed that it is releasing Star Wars #108, a one-shot comic that will pick up where the original numbering of the classic Star Wars series left off before it came to an end. As revealed by Comicbook.com, Star Wars #108 – written by Matthew Rosenberg, with art from Giuseppe Camuncoli, Luke Ross, Kerry Gammill, Andrea Broccardo, and more, and covers from Walter Simonson – will feature a host of characters that the original series added to Star Wars canon, including Amaiza Foxtrain, Valance the Hunter, Domina Tagge, and, yes, Jaxxon the bright green rabbit alien. 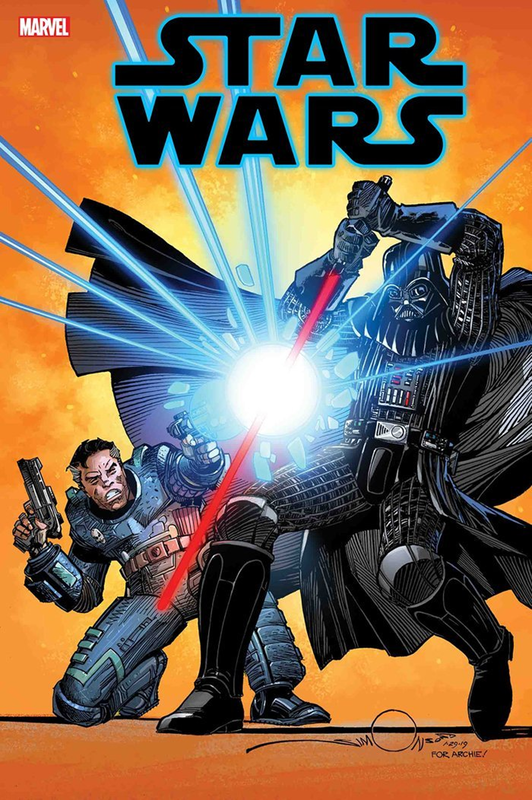 Valance the Hunter faces off against Darth Vader in the cover for Star Wars #108. The story itself is a continuation of “The Crimson Forever” by Archie Goodwin in Star Wars #50, released all the way back in 1981, which saw Luke, Leia, Chewie, and Lando deal with a mysterious virus that turned its victims a deadly shade of red. A few of these characters have since made their way back into the newly imagined Star Wars canon under the reboot brought about by Disney’s acquisition of Lucasfilm, like Jaxxon and Amaiza. But it’s great to see Marvel honour its 80th birthday with a throwback to its very special connection to the galaxy far, far away. Star Wars #108 is set to release on May 29.